What Is a Bike Tune up and Can You Do One Yourself? You demand a lot from your bike: jumps, hills, rocks, and unstable terrain. It’s only fair that you give your bike the love and care it deserves, right? It’s important for all riders – both serious and casual – to care for their bike with regular tune ups. 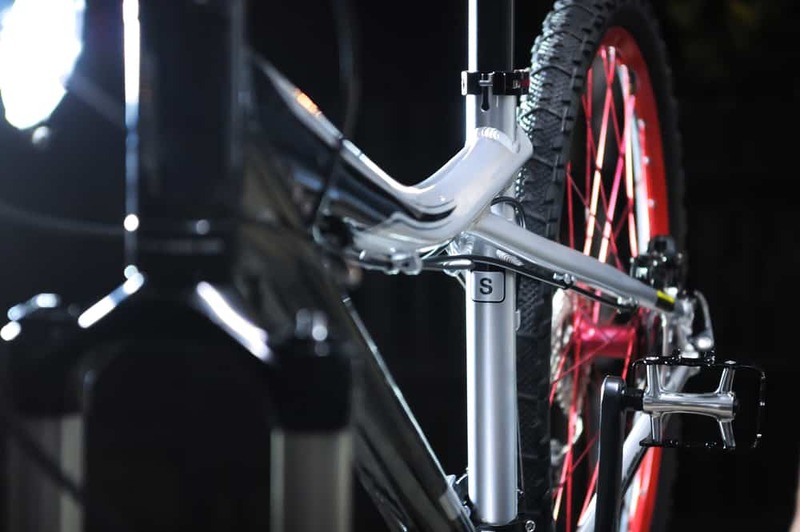 Tune ups don’t just maintain the integrity of your bike, they also keep you safe. Think about it: your bike has a lot of moving parts that all work in unison to ensure a smooth and safe ride in a variety of conditions. Here’s the good news: you don’t need to take your bike to the shop because you can do a bike tune up at home with tools you probably already have. How often should you do a bike tune up? When is the right time to do a bike tune up? Well, there isn’t really any one right or wrong answer to this question. It all depends on how you use the bike. Casual riders can probably get away with one bicycle tune up each year either at the beginning or end of the season. Serious or competitive riders should probably conduct a bike tune up about once a month. It really depends on your riding conditions and how often you use your bike. Brakes are stiff, sticky, or you need to pull the lever all the way down to the handle bar to engage them. Your gears aren’t shifting well or your chain is jumping gears. You hear creaking, squealing, or other noises coming from the brakes or moving parts. You ride the bike every day and have never done a tune up. Bike tune ups are generally pretty cheap no matter where you go. A tune up cost could range from $30 to over $70. If you live in a downtown or urban area, expect to pay closer to $70. If you really don’t feel like taking the time to do your own bike tune up, this isn’t a bad price to pay. On the other hand, for the cost of one tune up, you could buy everything you need to do several tune ups and cleanings yourself. What is a tune up and how do you do it? What is a tune up, anyways? What exactly does it entail? A standard bike tune up involves a thorough cleaning of the chain and other moving parts. It also includes minor adjustments. This is all pretty easy to do on your own with the right tunes and supplies. 1. Clean your bike paying special attention to the chain and cassette. Put your bike on a bike stand and give it a good cleaning. Use a towel and good degreaser to remove dirt and grime from the chain, cassette, suspension, drivetrain, and all other moving parts. Don’t forget the brakes. Make sure you don’t get any degreaser, cleaning solution, or lube on the brakes as this could damage the discs. Once your bike is clean, lube up the chain and other moving parts. Make sure to select a lube that best fits your riding conditions. Loosen the bolt on the brake caliper and reposition the brakes so they’re even on the frame. Do the same with the micro adjusters on the brake arm. Test the brakes a bit and make sure they’re accurately adjusted. With your bike still on the stand, shift down to the smallest cog. Start by turning the barrel adjuster on your rear derailleur a half-turn in the counterclockwise direction. Start rotating your pedals and attempt to shift one gear. If it doesn’t shift, rotate the barrel adjuster another half turn. If it jumps two cogs, you’ve gone too far and you need to loosen it a bit. Using a torque wrench, tighten every bolt on the bike (there’s a lot of them). Test the bike out when you’re completely done with the inspection. Some bolts may need to be slightly loosened or re-tightened. 5. Inspect and fill tires. Check the air pressure on your tires. Refill them if needed. When was the last time you replaced your tubes or tires? Most tires last about 2,000 miles depending on wear and tear. If you can’t remember, it’s time to replace them before they break while you’re out on a ride.